Sometimes we need to be reminded why we are doing what we’re doing with these people who live with us in our homes and eat with us at our tables and ride with us in our cars. 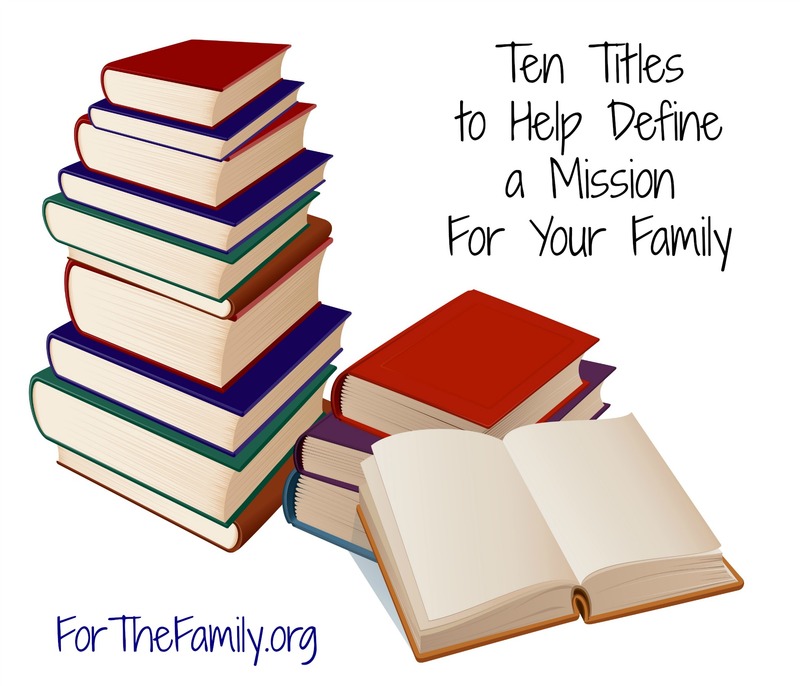 With so many distractions that pull at us here and tug at us there, it is easy to forget that God has a divine purpose for our families, a mission. And if we aren’t careful, His mission might get lost amidst the to-do lists and piano lessons, the grocery shopping and office meetings, the parent-teacher conferences and ball games. Hands-Free Mama: A Guide to Putting Down the Phone, Burning the To-Do List,and Letting Go of Perfection to Grasp What Really Matters! My husband and I did a group study on “Loving Our Kids on Purpose” last year at our church, and it was GREAT. Love that recommendation. There are definitely others on this list I’ll be checking out!